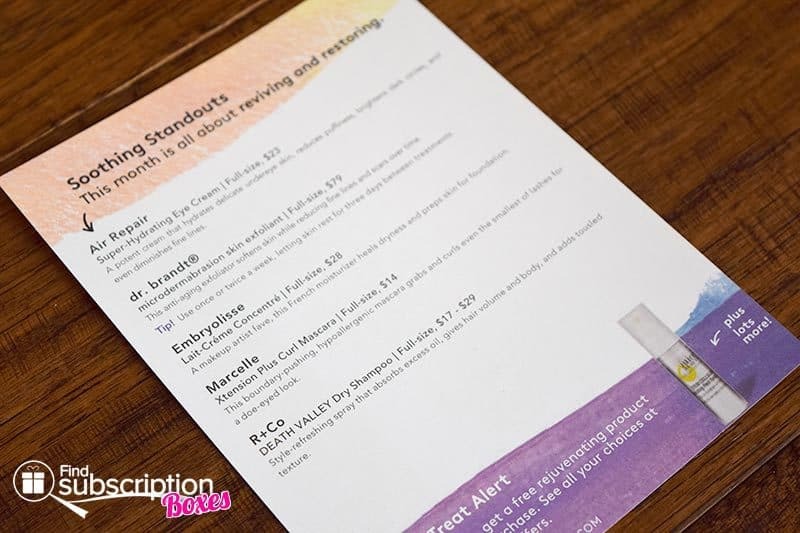 Birchbox is a beauty and lifestyle monthly subscription box for women. For just $10 a month, Birchbox sends a customized box of makeup, skin care, hair care, and more. With today’s Birchbox review, we’re unboxing our October 2016 Birchbox. Each Birchbox includes a card describes that month’s samples and box theme. 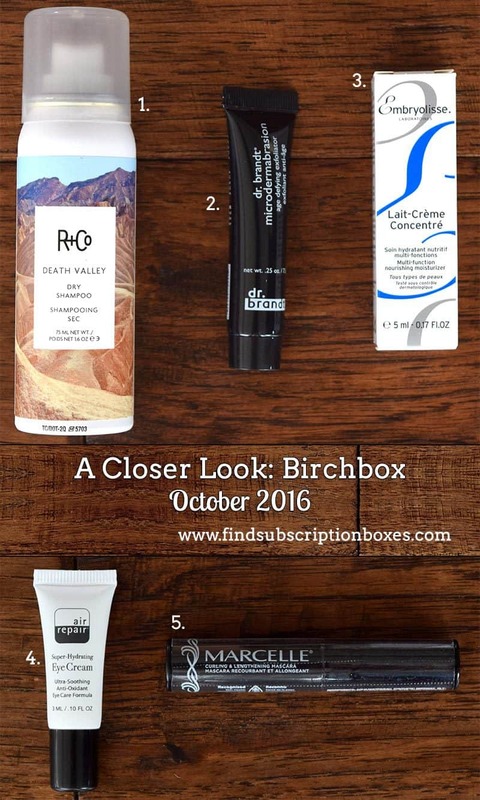 Here’s a first look inside our Birchbox October 2016 women’s monthly subscription box. There were 5 beauty, skincare and hair care samples in our October Birchbox. This style-refreshing spray absorbs excess oil, gives hair volume and body, and adds tousled texture. Soften skin while reducing fine lines and scars over time with this anti-aging exfoliator. Heal dryness and prep skin for foundation with this French moisturizer, a makeup artists fave. This potent cream hydrates undereye skin, reduces puffiness, hides dark circles and diminishes fine lines. 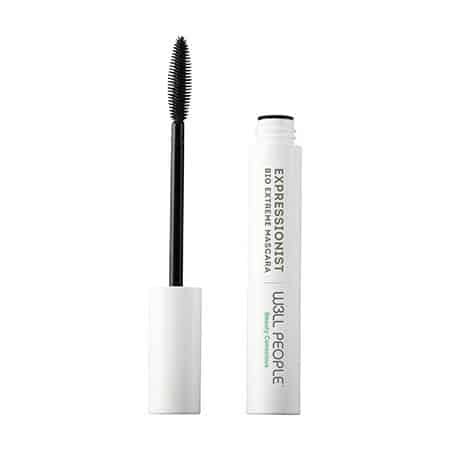 Push your lashes to the max with this hypoallergenic mascara that grabs and curls even the smallest of lashes. 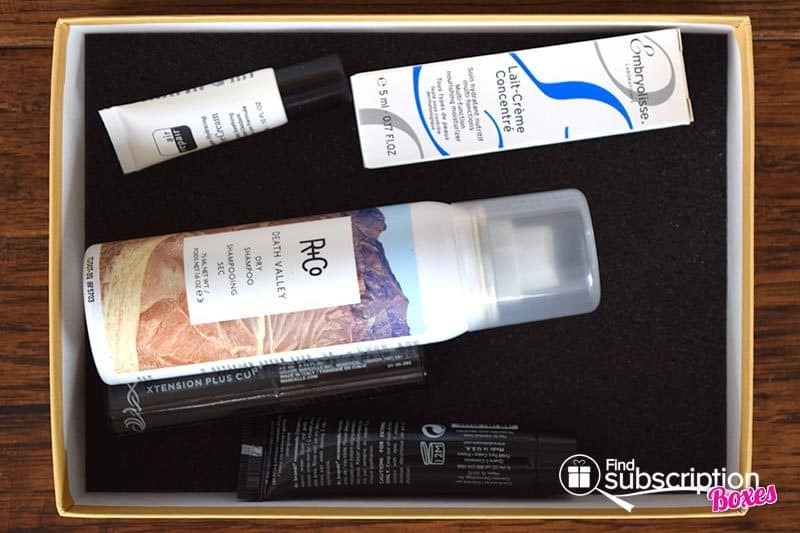 October’s Birchbox was all about beauty products that revive and restore. The dr. brandt exfoliant is perfect for giving your skin an anti-aging treatment a couple of times each week. It has small beads that gently buff away dry and dead skin. It also has jojoba, aloe vera and chamomile to soothe and soften. Our face felt super clean and refreshed after just one use. To help our eyes look fresh and awake, the Air Repair eye cream is a great solution. This eye cream feels thicker than some other eye creams but goes on very smoothly. It definitely provided moisture and we look forward to minimizing the appearance of our “smile” lines around the eyes. Another skin care products in our October Birchbox was the Embryolisse moisturizer. We were surprised to learn that this moisturizer is actually an all-in-one product that not only moisturizes, but is also a makeup remover and an after-shave treatment. It has shea butter and aloe vera to nourish your skin. Mascara is one of our go-to makeup products so the Marcelle Mascara was another great pick for our box. The curved brush helps you get mascara on to every lash without clumps. The formula goes on smooth and makes our lashes look thicker and longer. We’re big fans of not washing your hair every day. (It helps avoid stripping natural oils that keep your hair healthy.) At the same time, we don’t want to be walking around with greasy-looking hair. The R+Co Dry Shampoo quickly absorbs excess oils without any residue. It has a light formula that doesn’t weigh your hair down. What was your favorite October Birchbox beauty product? 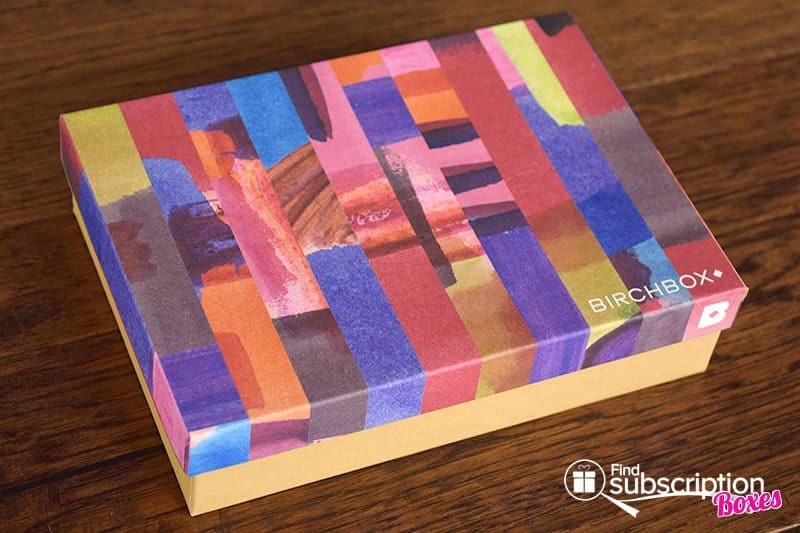 Birchbox Coupon Code – Free Beauty Gift! Subscribe to Birchbox TODAY and use code NATURALEYE at checkout to claim a free W3LL PEOPLE Expressionist Mascara in your first Birchbox! Use code NATURALEYE at checkout to receive a W3LL PEOPLE Expressionist Mascara with the purchase of a women’s monthly or yearly rebillable subscription. Offer available while supplies last. Your free gift will ship with your first subscription box. Please note that this code is only valid for new subscribers. Redemption of this code for existing subscribers does not guarantee receipt of these promotional items.